Export your dealer inventory to other websites with one system. Properly displayed inventory on 3rd party sites such as Autotrader, Cars.com, etc. is extremely important. To make it easier to manage let ProMax do it for you! Having a great website is a ‘must’ now days but just as important is having your inventory properly displayed on 3rd party sites like Autotrader, Cars.com, Cargurus, etc. Everyday millions of shoppers are visiting these sites. If you’re not using them you could be losing valuable ground to your competitors. ProMax can automatically send your inventory, including pricing, photos, comments and data, to your 3rd party sites on a daily basis. If any of the 3rd party sites you are using will accept more than one feed throughout the day we can set it up to send multiple feeds. 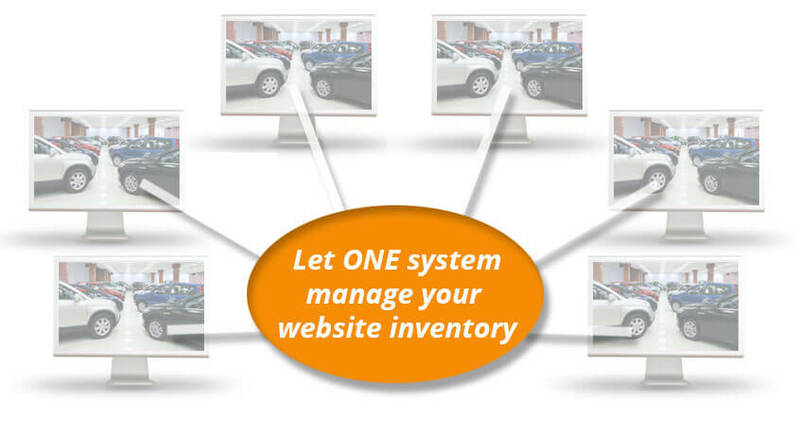 The great thing for dealerships using ProMax is, you are already managing your inventory within the ProMax software. This means you don’t have to do anything extra from what you are currently doing. All you have to do is sit back and know your inventory is properly displayed on your 3rd party sites. Just another service we provide within ProMax making your job easier. The days of having to manage your inventory in multiple systems can be a thing of the past.